"North Macedonia, welcome to our lives" was the phrase recently tweeted by former Greek Foreign Minister Nikos Kotzias following joint parliamentary ratification of the Prespes agreement between Greece and the country previously known as the "Former Yugoslav Republic of Macedonia (FYROM)" until a few days ago. According to the accord, signed last June, the latter changed its Constitution by adopting, a new name, "North Macedonia." Hence, Athens will no longer oppose the European-Atlantic orientation of the government in Skopje, allowing North Macedonia to join both NATO and the EU if it wants. The name dispute lasted over 25 years following the end of the Cold War. As Macedonia refers to a wider region extending into the current territory of various Balkan countries, Greece found it unacceptable its neighbor had selected this title as its constitutional name in 1991. It used all available diplomatic means at the NATO and EU level to push the government in Skopje towards compromise and persuade its international partners about national sensitivity on this subject. Ever since the current Greek government of Prime Minister Alexis Tsipras – under the guidance of Nikos Kotzias – took power it has been exploring ways to improve relations with North Macedonia. The former Foreign Minister had long believed better understanding could resolve the name issue. So, in June 2015, he traveled to Skopje to reach an agreement on confidence-building measures ensuring immediate strengthening of bilateral cooperation. Several rounds of discussions preceding the Prespes agreement concentrated on connectivity-related projects, police collaboration, European programs, culture, education, civil protection, public administration and health. The 2017 governmental change in North Macedonia, which saw the departure of then Prime Minister Nikola Gruevski and the formation of a coalition under moderate Premier Zoran Zaev, created new momentum. Zaev and Foreign Minister Nikola Dimitrov agreed with the thinking of Kotzias on resolving the name dispute. The U.S. was also eager to support the process. Being concerned about Russia's ongoing influence in South-Eastern Europe, it sought to accelerate the expansion of NATO following the 2017 Montenegro adhesion. North Macedonia is now the new candidate. Moscow has not hidden its frustration, the Foreign Ministry of Russia publicly opposed the Prespes accord on various occasions. Germany, however, shared the American view. Early this month, only days before the Greek Parliament was about to ratify the Prespes agreement, Chancellor Angela Merkel paid an official visit to Athens. As the Greek economy has been significantly stabilized, the visit was considered clear support for the Greek government's new Balkan policy. Berlin has initiated the so-called "Berlin Process" and want to see more countries of the Western Balkans rekindle an appetite for joining the EU. Irrespective of the international environment, the governments of Greece and North Macedonia decided that, instead of investing in nationalism, they would seek to build friendship. 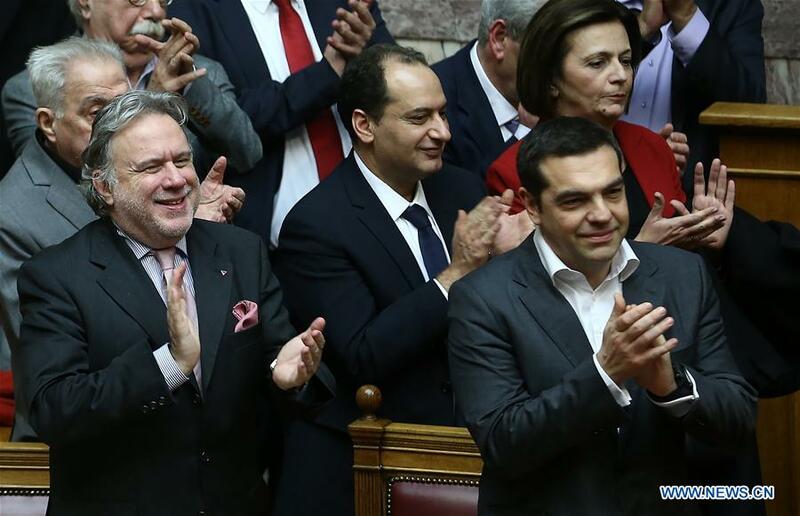 Tsipras, Kotzias, Zaev and Dimitrov managed to achieve what had seemed unthinkable a few years ago, achieving a diplomatic success unusual in South-Eastern Europe. Finally, the ratification of the Prespes accord might prove beneficial for the 16+1 Initiative. Greece can soon be the 17th member because its northern neighbor will participate with its new name. The talks between Athens and Skopje took place under UN aegis and China generally supports all diplomatic efforts of that type. 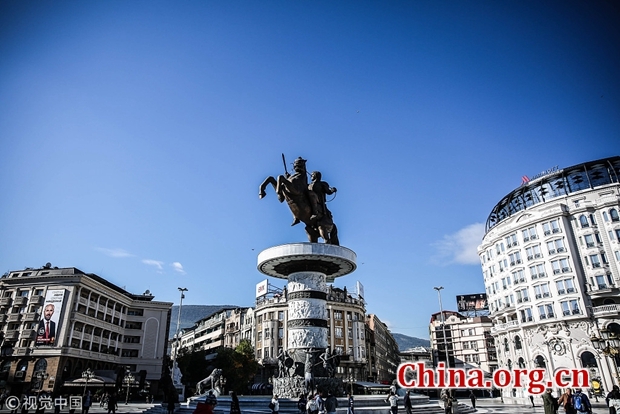 China, as a new driving force of growth in the Balkans, is expected to further boost connectivity in harmonious cooperation with its partners, Greece and North Macedonia, within the framework of the 17+1 format.